Thanks so much to Annie’s Homegrown, Nutiva, and Bitsy’s Brainfood for the delicious samples at ShiftCon and beyond! I have to admit, I’m not always a think ahead kind of person. I can never think far enough ahead to order special Halloween candy for my kids online. There is one week left until halloween and I just barely ordered the last of our costumes. Thank goodness for Amazon Prime two day shipping! When you get right down to the wire like we are now, it can be hard to think of non-junk Halloween Candy Options. It is easy to just swing by the store and pick up a variety bag of whatever junky candy is next to the cash register. 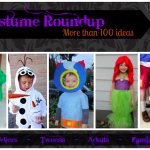 So, I hoped it might be helpful if I compiled some of my kids favorite better for you Halloween treat ideas and non-food Halloween treats. All of the options listed below are tried and 100% approved by my boys. 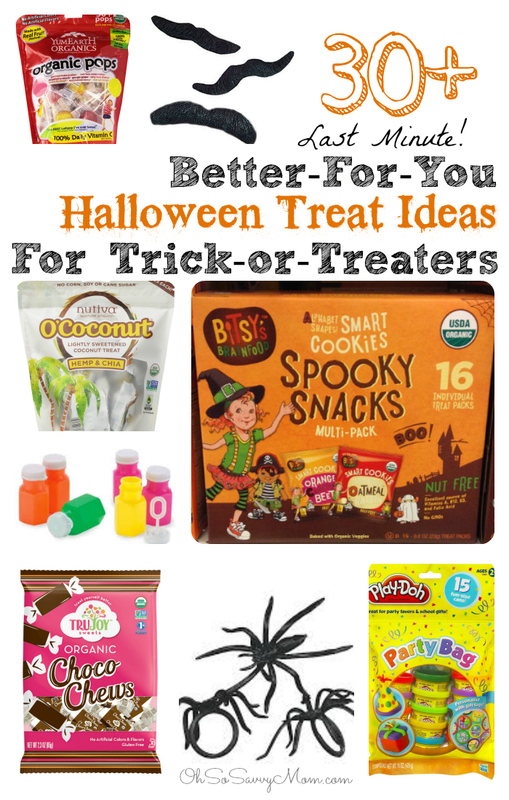 While I don’t consider all of the edible ideas below “healthy” options–some people like to throw that word around like candy (pun intended)–they are definitely better for you than most of the Halloween candy marketed today. 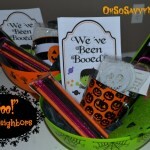 In fact, the Bitsy’s Brainfood Spooky Snacks are organic, nut-allergy safe, and are baked with fruits and vegetables. All of these can be purchased in your local stores. I’ve tried to list the stores where each brand is available. I’ve also included links to the product on Amazon in case you just prefer to purchase there anyway (I’ll get a small commission if you purchase through these links). You can also find some of these brands at Thrive Market (it’s online wholesale membership club for all natural and organic products. My membership fee paid itself off in just two separate purchases!). 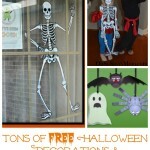 If you’re looking for Fun, Healthy Halloween Treats at home check out this post: Healthy Halloween Treats for Kids! Next PostFun Holiday Events at Disney World You Won’t Want to Miss! Previous PostParents: Sharpen Your Pencils, Here are Some Education Tools Just for You!